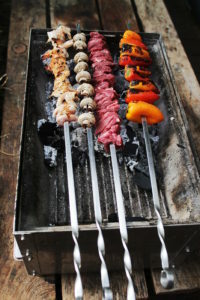 I like my BBQ skewers long, wide and thick and made out of good quality stainless steel, so when I was sent a set of these heavy Duty Russian designed BBQ Skewers I was seriously impressed. They come in at a whopping 70cm long x 1cm wide x 3mm thick… more than enough for the largest of shish. The quality is excellent, they are workmanlike but still pleasing on the eye with the twists, and made from catering grade stainless steel. 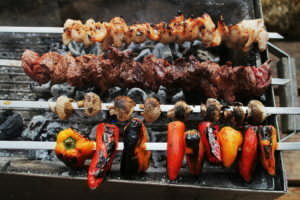 I cooked up some great mixed skewers, and there was still plenty of room on them for more food. 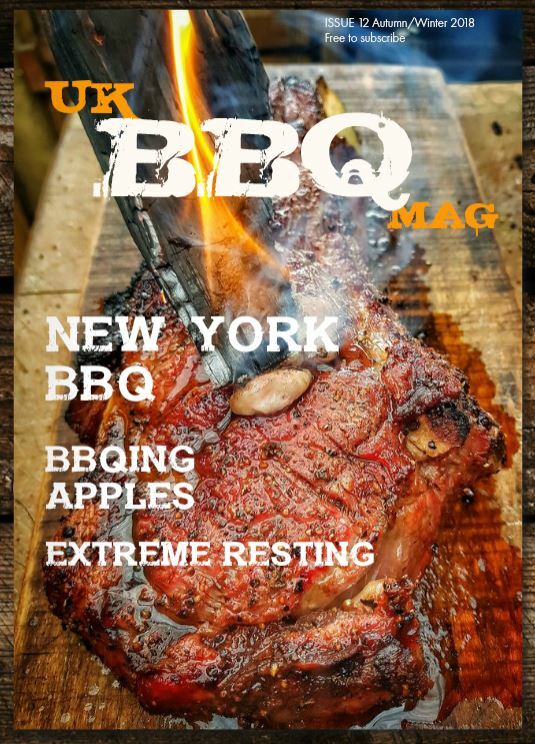 Will fit a lot of bit grills such as a weber 57cm kettle which many other skewers would struggle to fit across. The twists and handle eyes allow them to be turned easily, and the wide skewers mean food doesn’t twist. N.B. I was sent these to review, and was free to make an honest review based on my experience.